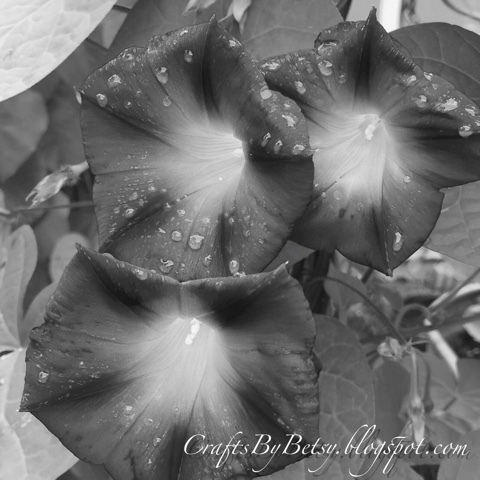 I love morning glories! Beautiful water drops on the flowers. Wonderful B&W photo! Great light!